There’s a single question that has driven most of the great books in history: “What would happen if young, unpleasant people acquired property?” That’s the question at the heart of this book, a searing indictment of MFA graduates everywhere. Come for interesting, well-drawn characters like the magical elf-woman who can’t use a coffee maker, check voicemail, or use a dimmer switch on a light, but STAY for comforting mentions of bands you remember and some of 2005’s sickest burns. It’s a thin premise for a mediocre mumblecore movie, and an even thinner excuse for a 160-page book. 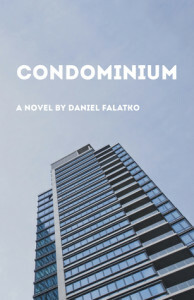 Join us in…the Condominium.